NASH Racela is expecting a tougher competition against regional rivals this time as the Philippines battles four nations in the 2016 Seaba Cup beginning on May 22 in Bangkok. Racela, head coach of the Gilas cadet team to the regional meet, noted the nationals cannot relax especially after the fine performances of other teams in the Southeast Asian Games last year. Under Gilas Pilipinas head coach Tab Baldwin, the Gilas cadets won the gold medal in the SEA Games held in Singapore but not before sweating it out against Thailand in the semifinal match, 80-75. Racela expects another tough battle against host Thailand, which they will face at the end of the elimination round on May 26. “What I’ve heard, Thailand, being the host, they have been practicing for three months and they trained in the US because they are under a new head coach. 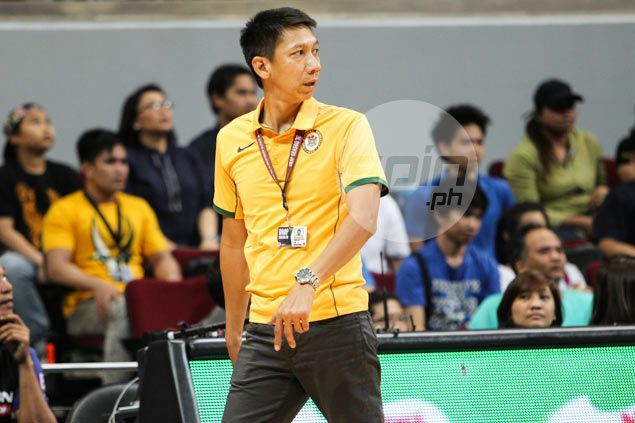 Nag-prepare talaga sila,” said Racela, while making it clear that other teams are also capable of pulling off an upset. The team is led by PBA cagers Troy Rosario of Talk ‘N Text and Almond Vosotros of Blackwater, who was part of the Gilas cadet squad last year for the SEA Games and the Seaba Championship. Also in the squad are Mac Belo, Kevin Ferrer, Jio Jalalon, Mike Tolomia, Roger Pogoy, Von Pessumal, Russell Escoto, Raymar Jose, Ken Holmqvist. Jonas Tibayan, who recently played for Batang Gilas in the Seaba Under-18 Championship, was also included in the lineup. Racela hoping the three-week preparation would be enough. “Ang lagi naming iniisip is the last time, we played them in the Seaba and the SEA Games, we had two to three months of preparation and the competition was tough last time. Hopefully, it (three weeks) would be enough,” said Racela. The Philippines begins its campaign against Malaysia on May 22, before taking on Singapore on May 24 and Indonesia on May 25, followed by the host country the day after. The top two teams after the eliminations will play in the finals as well as qualify for the 2016 Fiba Asia Challenge set September 9-18 in Iran. The Fiba Asia Challenge is a qualifier for the 2017 Fiba Asia Cup.